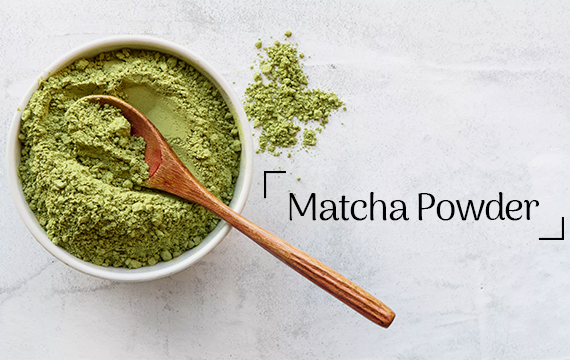 We’ve all heard about the trending superfood called matcha green tea powder. It is available at various coffee shops where you can order a matcha shot or a matcha green tea latte. Your smoothies can also be enhanced by adding matcha. But what is it and why are people falling in love with it? Matcha, by definition, means powdered tea. It is created using the leaves of the Camellia plant and is unique in its preparation. It can be de-vined, steamed or ground into powder and be stored to be prepared later. Not only is it delicious but also has many nutritional properties. Whether you’re looking to neutralize your body’s damaged cells or looking for healthier skin, matcha tea just might be for you. Here are some benefits it can provide and why you should include it in your daily life. It’s difficult to lose weight, especially if your metabolism isn’t very fast. However, matcha green tea powder offers a two-pronged approach when it comes to weight management and loss. Firstly, it boosts the metabolism and secondly, it slows the growth of fat cells present in the body. Consuming it on a regular basis helps burn calories and drop weight almost twice as fast as your body would without consuming it. In trying to lead a healthier lifestyle, we try and restrict or eliminate caffeine completely from our diets. It is true that matcha has caffeine, but it is very different to the caffeine content present in coffee. It offers a much slower release of theophylline, providing an evenly enhanced supply of energy, which coffee fails to do. Additionally, matcha also has I-theanine which is an amino acid which boosts the alpha waves in the brain, creating a calming effect and enhancing mental clarity. This is why matcha green tea is still consumed by monks who are looking for enhanced concentration and relaxation during meditation sessions. A few weeks before green tea is to be harvest for matcha, the plants are covered using a shade cloth. This reduces the exposure to the sun, making the plant compensate by increasing its chlorophyll production in the leaves. Chlorophyll is known for having powerful detoxifying properties and also includes the ability to eliminate heavy metals and chemicals naturally from the body. Catechins are a group of molecules which are extremely rare and have proven to be a beneficial and potent antioxidant. A particular catechin, known as EGCg makes up a huge percentage of the catechins in the green tea powder. It helps in maintaining heart and brain health along with promoting weight management. The polyphenols and antioxidants present in matcha scavenge for any free dangerous radicals present in the body. These free radicals often are the cause of damage and can also lead to the creation of cancerous cells, particularly so in the colon and bladder. Matcha powder can be used to create a face mask and can also be used in many different ways for skin care and beauty regimens. The catechins present in the powder help inactivate and trap free radicals present in the skin and in this way helps fight against ageing. Also, applying matcha green tea powder directly on the skin, like a face mask can be extremely effective in treating symptoms of acne and rosacea. To know more about everyday superfoods, like matcha, follow our blog posts. Get to know about exciting recipes and art of food presentation from expert chefs at Bella Vita Catering.